Since the Industrial Revolution, the consolidation of great brands has gone hand in hand with the good reputation of their management models. Today, it’s easy to notice that the range of services and products has increased exponentially, and advertising has gained a new voice and consequently increased the level of competitiveness. With so many options, planning and positioning became even more important assets to have among the options available to consumers. 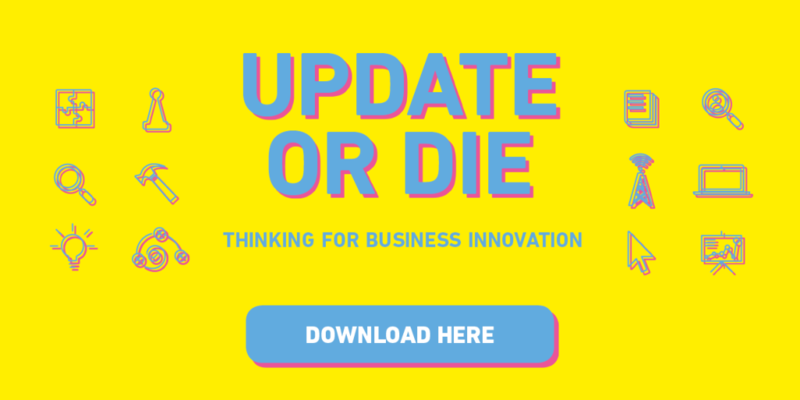 This post brings you a sneak peek of our new e-book: UPDATE OR DIE – How to reinvent businesses through Design Thinking. In the 21st century, a successful brand is not necessarily the most traditional one, but one that communicates well, offers efficient solutions and transmits values that their clients identify with. How then, to achieve all these factors? One of the paths to systematic innovation is through Design Thinking. Although there’s a general consensus about the need for innovation, a research carried out in 2015 by the National Industry Confederation (CNI) pointed out that 62% of Brazilian business men and women considered the country’s level of innovation to be very low – Only around 1.2% of the GDP is directed towards research and development. This is reflected in the global ranking for innovation of the Information Technology and Innovation Foundation (ITIF), which assesses the world’s incentive to innovation policies; out of the 56 countries assessed, Brazil ranked 41st. Several factors explain these figures, such as a lack of fiscal incentives and investment in the sector, technological resources and the absence of an innovation culture at the organizational level. As a result, innovation requires mutual understanding between businesses and employees. Transformations in all areas of the company are needed for real change to occur. As such, innovation becomes a consequence of the company’s internal culture. But, do you know what innovation is? In its dictionary definition, innovation means to create something new, however, it is important to stress that, in a business context, new isn’t always innovative. An innovation must generate value, be useful and enable progress, which is why innovation means helping people, improving services, process or products while focusing on organizational goals. In ‘The Innovation Bible’, a book written by the economist Philip Kotler, one of the biggest names in Marketing, we can see that the difference between an idea and an innovation is that the latter offers greater value to the client. He reminds us as well, that it is impossible to innovate without taking into account the consumer of the final product. His reminder is poignant seeing as, for a long time, innovation meant technology. With such a limited perception, innovation became restricted to engineers or IT professionals. In that sense, in order to talk about innovation, it is necessary, first, to better understand the words ‘technology’ and ‘design’. Technology is any technique or tool developed for human activities. They’re not necessarily associated to modernity or information studies. Design, on the other hand, is a project and not a drawing, as it is popularly translated. When we insert design into the context of graphic designs alone, we limit not only its meaning, but also its application. Projecting activities, products and services which improve life around us is also one of the attributes of a designer. 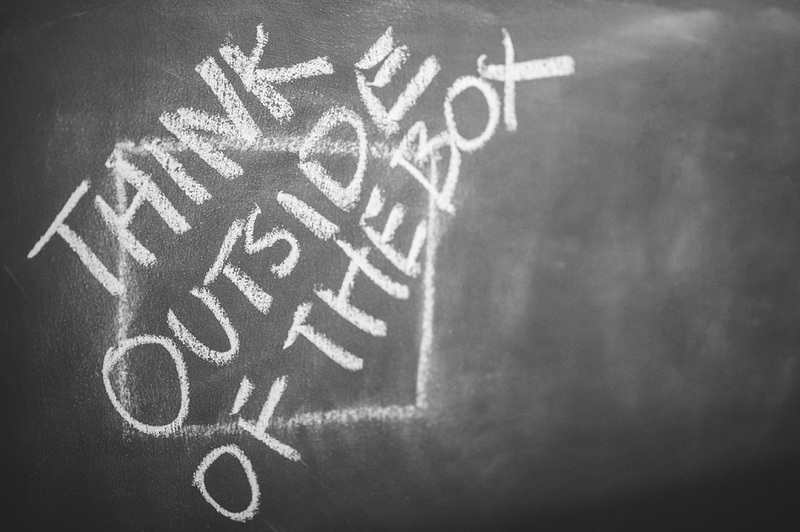 Innovative solutions are those which represent enhanced or completely new ways of responding to market demands or opportunities, and these can often be delivered as very simple ideas. Clayton M. Christensen, a Harvard professor, came up with a theory called disruptive innovation. This is a concept through which an innovation is able to transform a high cost market or sector, by bringing simplicity, convenience and accessibility. A good example of disruptive innovation is the personal computer, also known as the PC. The very first computers, known as mainframes, were highly expensive, took up a large amount of space and could only be worked by engineers. In the 1970’s, a famous computer and software multinational company applied the functionalities of computers to smaller equipment, transforming the mainframes into computers that anyone could use. That’s how this company revolutionized the market and met an existing demand. As Christensen points out: “disruptive innovations make products and services more accessible and cheaper, making them available to a wider portion of the population. UPDATE OR DIE! To learn how to apply innovation in a systematic way to all sorts of challenges through Design Thinking, download our e-book now. Have a good read. Hi Kristen, thank you for your comment, we’re glad you liked the post. I’ve read this publish and if I may just I desire to counsel you some interesting issues or advice. Hi John, thank you for the suggestion, we’ll be posting more about this subject soon. Also check out our e-book on it, we hope you like it!.